Nua Healthcare is very excited to be welcoming a group of 13 young people and 7 Outreach Moldova Carers and Doctors from Hincesti orphanage in Moldova, to Ireland for 2 weeks in December. The Síol Foundation, Nua Healthcare and Outreach Moldova have worked tirelessly to make this trip happen and the group, accompanied by support care staff from Outreach Moldova and hosted by Nua Healthcare, will be arriving late on Friday 2nd December and depart on Friday December 16th. We hope we can bring Christmas early to this fantastic and very able group of people. 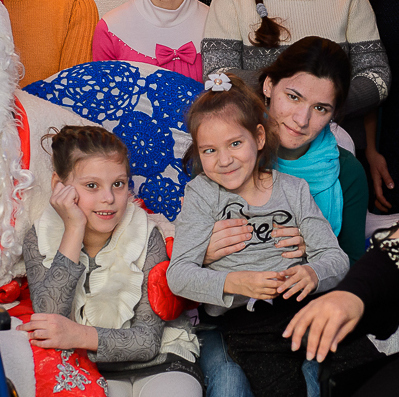 As part of a special project to demonstrate a community model of care, The Síol Foundation and Outreach Moldova have implemented supportive structures to demonstrate that those with disabilities can live independent lives with the right supports. Subsequent to this, 13 young people living in the Hincesti orphanage, have been doing so in self-contained parts of the orphanage for the last year cooking, cleaning, working and living independently. Nua Healthcare has partnered with The Síol Foundation on this project and with the support of the Irish and Moldovan Government, are bringing these young people over to Ireland. While here, they will experience Nua Healthcare's model of care in action, they will also meet and share the lives of the Nua residents, they will attend workshops and education centres with Nua residents and given the time of year, they will also have the wonderful opportunity to attend and participate in the Annual Nua Service User's Christmas Show where we believe they will take to the stage with a traditional Moldovan Dance! They will also join Nua’s residents and staff at many other Christmas events over their 2 week stay, visiting some of Ireland’s best activity centres and sightseeing so they can pack as much in as possible. We hope that this trip will provide the young people, carers and government officials with a community model of care, the impetus to change the model of care in Moldova and the confidence to go forward and live independent, happy and fulfilling lives. We look forward to welcoming Masa, Felicia, Marina, Aliona, Alina, Andrianna, Svetlana, Irina, Larisa, Viorica, Velaria, Andrea, Lenuita to Ireland and hope their trip shows them what is possible, giving them the confidence and self-belief that they too can work and live the life they wish, in a fun filled and action packed way. If you would like to get involved and support us, you can do so by offering a small bit of your time or your skills, you can also sponsor an activity or give them a treat. We are welcoming clothes donatations also, so please contact Michelle in HR for further details regarding their clothing and shoe sizes.